“We eat to live and not live to eat.” With the increase in the popularity of unhealthy food, the health of an average student has been deteriorating at a very rapid pace. Ever since the parents have started putting money on junk food instead of homemade food in the lunch boxes the intake of unhealthy, non-nutritious food has increased. The students at a very young age are overwhelmed by the liberty of choosing what they can or cannot eat and most of the time they end up going for junk food over complete and balanced diets. In most cases the parents are unaware of the choices their children are making. 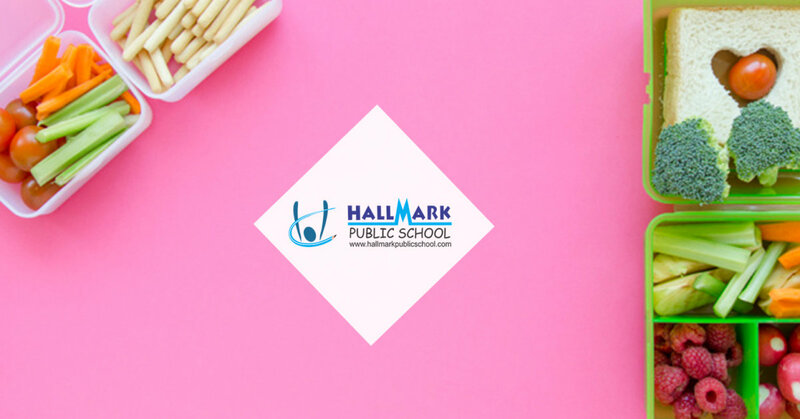 At Hallmark Public School – Best CBSE school in Panchkula, we make it our priority that every student must understand the importance of eating healthy and home cooked food. We are completely against the culture of buying food and hence we don’t even have a canteen in the school. The idea is not only restricted to the students, but also to the teachers. If both teachers and students eat healthy, they stay strong and nourished and their physical as well as mental abilities to learn and perform increases. The curriculum is as such that we have two breaks in-between the lectures, one in which everyone consumes fruits and the second for the lunch. For all the teachers and the students, it’s mandatory to bring fruits and a proper meal every day. If any student forgets to bring their meals the whole class will together share a portion of their meals with that student. This drill is to help the students to understand the value of sharing. The cafeteria culture not only feed unhealthy food, but also seeds the discrimination among students on the basis of their economic status and therefore we strongly discourage it. The result of these exercises has not only improved the performance of the students in academics, but has also shown a rise on the graph of their extracurricular activities. The rate of students falling sick has decreased and as a result, their attendance in the school has increased. A sound mind lives in a sound body and a sound body is the result of nutritious eating. We strongly believe in “paying the farmer and not the pharmacist”. Healthy students are the future of the nation’s development and we at one of the Top Panchkula school shape students to be future ready.